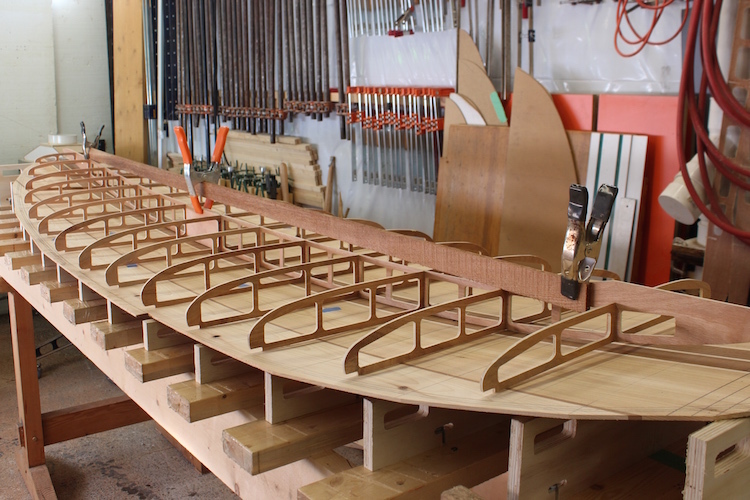 After the glue has dried on the spar it is time to attach the ribs to complete the fishbone. 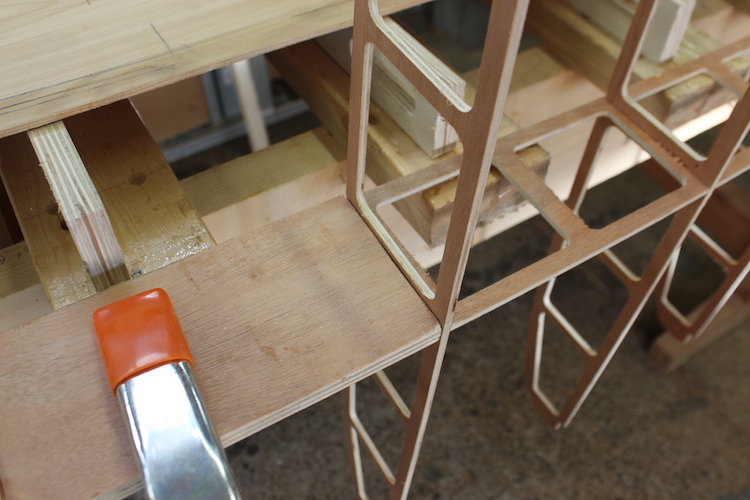 This step is really simple with our CNC fishbones as everything fits together with very little effort. This tutorial will show you a couple of tricks to make this simple step even easier. Our CNC fishbone frames have a lot of extra material (weight) machined out of them to keep the finished board light. The result is the spar is a bit of a limp noodle before it is attached to the bottom skin. I have found the side of the Assembly Table the perfect spot to attach the ribs. 2. 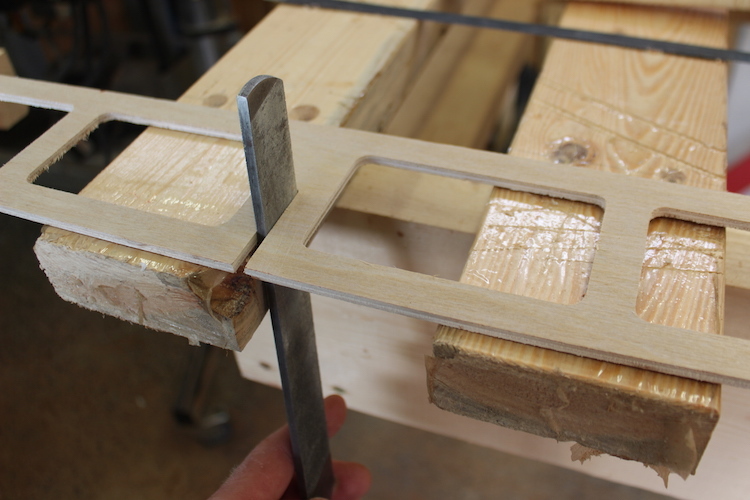 Clamp the spar to the side of the table with the notches facing outwards. Starting with rib 1 start inserting the ribs. You don’t have to glue the notches as the strength comes from the top and bottom curved skins. The fishbone is like the webbing in a truss. 3. 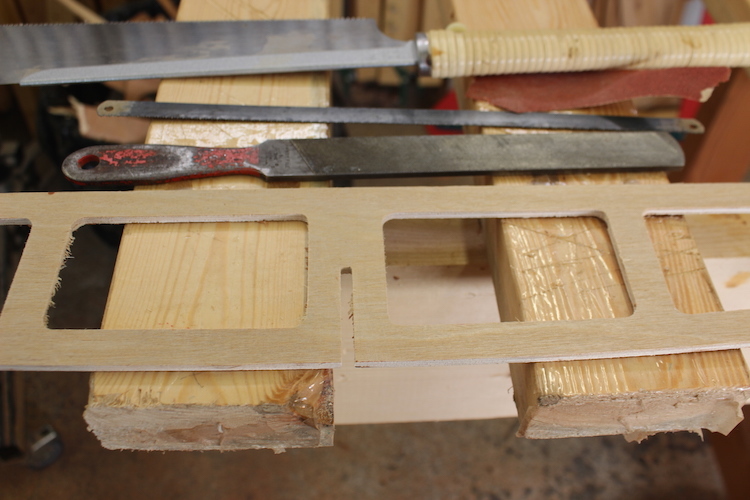 The ribs should have enough friction to stay in place but they should not be very tight. If the ribs are really tight you should make a minor adjustment. It is possible to change the rocker of the centre spar by inserting very tight ribs. I prefer to have the ribs a wee bit loose than too tight. If I have a loose rib just stick a piece of painter’s tape on it so it doesn’t drop out while handling or a dab of glue. You don’t have to glue the notches if they are snug. Here an axe file is adjusting the depth on a notch. 4. The CNC ribs do not require much if anything. If you made your own ribs from paper templates a Razor Saw is really nice for minor adjustments. For really minor tweaks sandpaper on the edges is you best bet. 5. 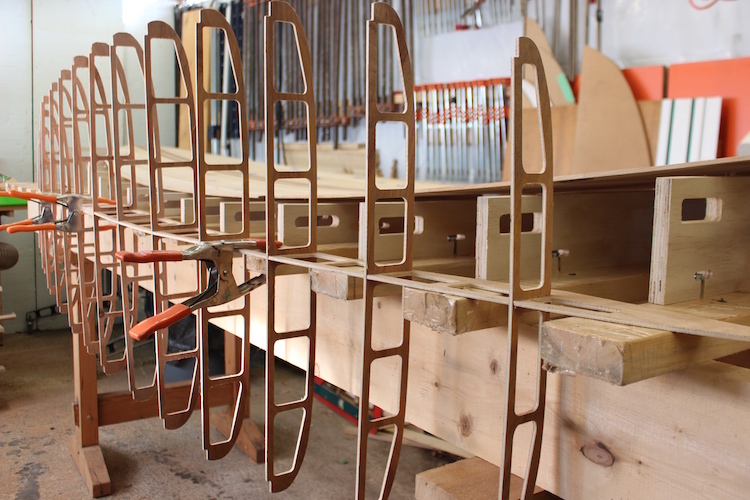 The fishbone frame is complete but don’t try to move it alone unless you have a large wingspan. The frame is very weak laterally. It is nice to have a friend help support it as you move it to a horizontal position. 6. Once it is horizontal I attach a piece of scrap as an extra support. 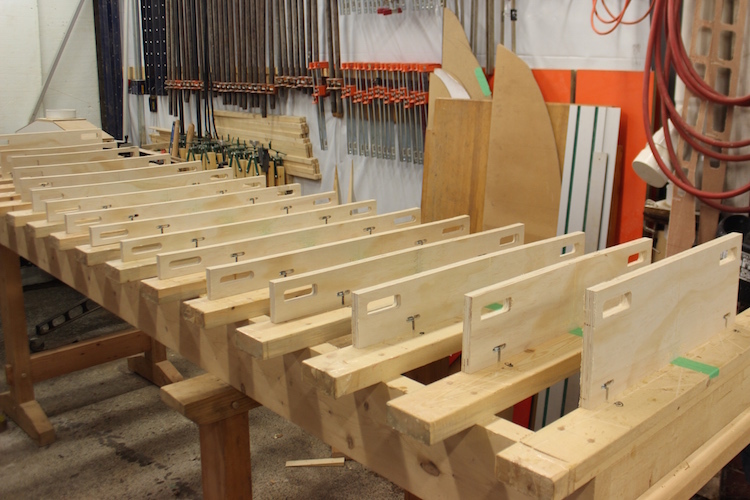 The plywood is so flexible with the weight of the ribs it is hard to move. *If you break a part of you CNC fishbone by mistake just let me know and I will replace the part for free.